A bill on exempting Iran’s recycling industry from paying the tax in a bid to support waste management services will be reviewed at the country’s parliament in the near future, the head of Iran Recycling Federation said. 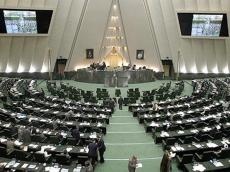 "A bill that would exempt Iran’s recycling industries from the tax will go the parliament in the next ten days," Valiollah Gholami Najafabadi told the Trend news agency on June 14. The bill would revolutionize the country’s recycling industry if passed by the parliament and becomes law, he added. Gholami Najafabadi said that this industry could become an ideal platform for foreign investors had the bill secures parliament's nod. The total value of Iran’s annual waste is estimated to stand at $10 billion, and currently, European firms are in talks with Iran and waiting for the tax exemption bill to start their investment in the profitable industry, he further said. "Today, China buys plastic and cellulose containers from Iran, ships them out of Iran, recycles them and earns huge money". Gholami Najafabadi said the Islamic Republic is currently recycling nine different types of waste with metals standing on the top. Iran is recycling 7 million tons of metals and 4.2 million tons of plastics, including 110 million tires, annually, he said. The official added that different types of glasses, batteries, and electronic devices are also among them. While natural resources are depleting at lightning speed, recycling is considered the most perfect solution to the sustainable future of mankind. United Nations statistics indicate that about 30 million cubic meters of water are used each day in the world, along with 393 million megawatt/hours of renewable and nonrenewable energy plus 96 million barrels of oil. Oil, natural gas and coal reserves are estimated to run out within 46, 162 and 411 years respectively at the current consumption rates. Besides, over 14,000 hectares of forests are lost and nearly 90,000 hectares of land turn into deserts every day. As a result of human activities, 103 million tons of carbon dioxide and 26,000 tons of toxic wastes are released into the nature daily. Recycling is an efficient solution to moderate the current states. Experts believe that the technology will not only help reduce energy and water consumption and save natural resources but also help alleviate the impacts of current environmental issues such as global warming.